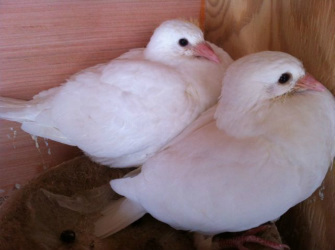 These doves, their loft and their training are here because Lisa, mother of the family, keeper of the lofts, dreamed them here. Yes, it is true. A little history first. Lisa grew up on stories from her Signal Corps father, stories of the heroic acts and deeds that rock doves (homing pigeons) had performed that saved the lives of many soldiers. These stories amazed her, to think of these little creatures carrying out deeds that were so courageous that it just made her imagination fly. As she grew up, Lisa always had animals around her, kittens, bunnies, dogs and finally her dream of owning horses. Lisa spent her youth and early decades riding and training horses. Lisa always had the spirit of a traveler and has lived all over the world studying from many animals and animal teachers in the way of their world and how to be kind and communicate with them. When she met her husband, David, a Virginian, she settled down in historic Mason Neck to raise their two girls. It was during one of their family's travels, that the spark of homing pigeons was reignited in Lisa's heart. The family had stopped in an area to rest and stretch when their little dog alerted them to the soft cooing of a dove. Peeking closely through the slats of a fence, they could see that someone was keeping beautiful pigeons. Lisa was struck by how content they looked. Their loft was under a shade tree. They had fresh water and beautiful grains to eat. It was fascinating to watch them as they enjoyed each other's company. These doves, their loft and their training are here because Lisa, mother of the family, keeper of the lofts, dreamt them here. That night, after seeing these gently cooing doves, Lisa dreamt about a beautiful mercury-colored rock dove soaring above her, leading her down a path filled with a sense of purpose and well-being. Somehow she knew this rock dove had brought her a message and that this dream was tied to her spiritual side. Lisa is a devoted meditator and studies spiritual teachers and teachings from around the world. From that day on she studied everything she could about homing pigeons. 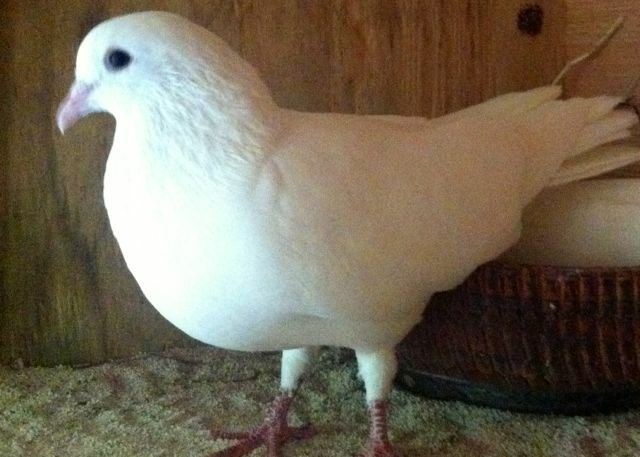 She spent hours and hours of reading, learning history, styles, breeding, and dove keeping. She then started to meet other dove keepers and studied all about lofts and dovecotes. 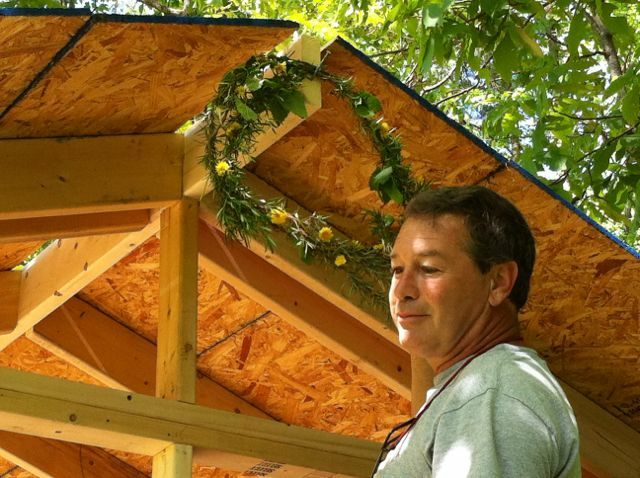 Luckily, her husband David, is a carpenter and he built her a beautiful, roomy and airy loft to keep her very own doves. Now, Lisa spends many hours training her doves to be strong and fast flyers. She spends time teaching her daughters how to care for the loft and how to feed and know the doves too. 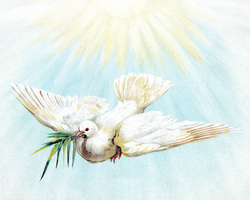 Lisa has tied her love for humanity and animals together, offering her white doves to fly with home in their heart from your special day. She truly wants to help make your event special, spiritual and fulfilling.